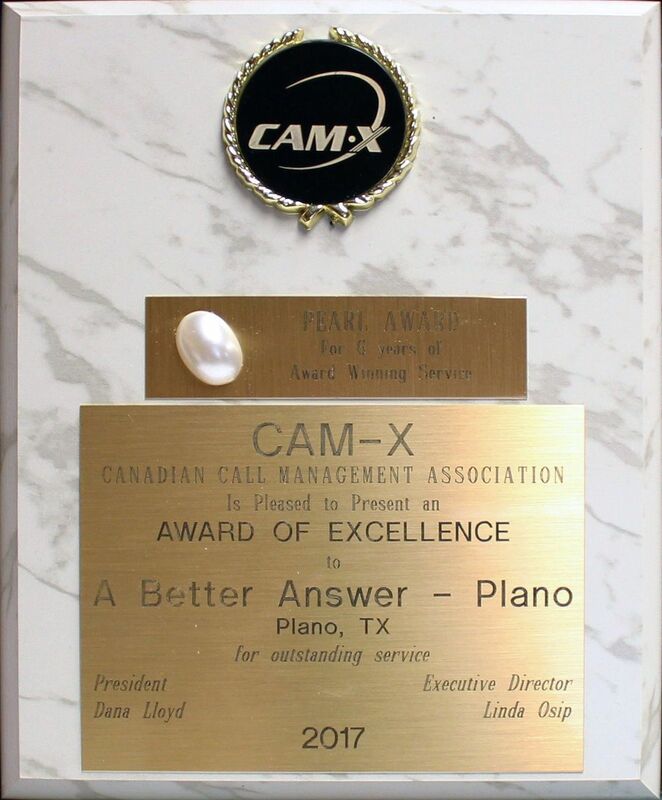 If the company scores 80 percent or better in all categories, they are presented with the coveted Award of Excellence. The program is now in its 25th year. Since our offices in Ft. Worth, Houston and Dallas have won the award three years running, they have been presented with the Silver Award. Of special note, we extend congratulations to the Houston call center staff on their proven Top Score quality service to their customers. Many congratulations to our wonderful call representatives for continuing to make A Better Answer the best call center for customer service!